Please wish David Cohen your ABSOLUTE best wishes in the hope he gets better soon. 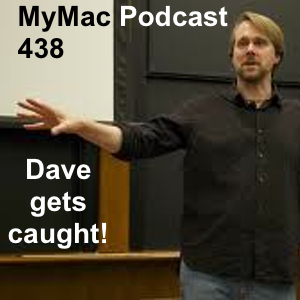 Probably our longest show EVER, but it was all worth it as we had an extended conversation with Dave Hamilton from the Mac Geek Gab Podcast and BackBeat Media about Macworld, podcasting, how to sound good (like he does) and not so-so (like the GMen). Also some talk about how you should NEVER, EVER say bad words (but we sometimes do anyway). James Turner and Fitz John Baptiste has questions for the GMen and so can you over at our G+ MyMac Podcast page.